Laos has achieved its target for exporting rice to China this month after the IDP Rice Mill of Laos signed a trading agreement with China National Cereals, Oils and Foodstuffs Corporation (Cofco) in November. The ministers from the six Lancang-Mekong Cooperation (LMC) countries underlined here on Monday the vital need of maintaining an open world economy and upholding the rules-based multilateral trading system with the World Trade Organization at its core. The 3rd Lao Digital Forum was held on Dec 14 by the Ministry of Industry and Commerce in cooperation with the United States Embassy in Vientiane. 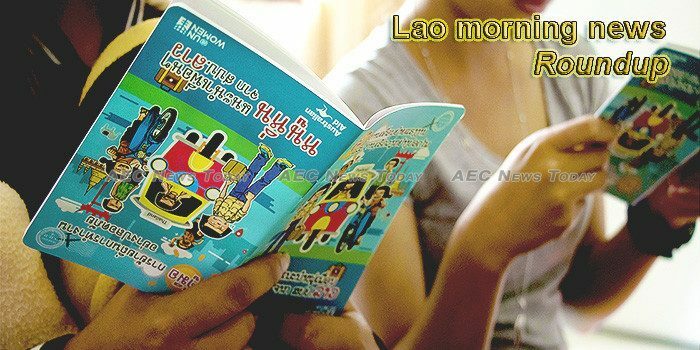 Data and analysis illustrating decade-long trends in population as illuminated by Laos’ censuses have been released in the form of the Socio-Economic Atlas of the Lao PDR – Patterns and Trends from 2005 to 2015. The Singapore Ministry of Foreign Affairs funded a weeklong training course on “Smart Nation: Strategy to Implementation” for 26 Lao government officials from Dec 10-14. From December 7 to 12, 2018, acclaimed American filmmakers were leading an animation workshop in Luang Prabang for artists and screenwriters from eight Southeast Asian countries. Chinese and Thai companies signed three documents on Monday at northern Thailand’s Chiang Saen port in a bid to develop boat trip service along the Lancang-Mekong river. A bat that could be a member of a 1990s band *NSYNC, a gibbon with a Star Wars name and a toad straight from Middle Earth are among the 157 newly discovered species in the Greater Mekong region described by the world’s scientists in 2017. Building and improving both permanent and temporary housing for people displaced by floods must be hastened, Prime Minister Thongloun Sisoulith told authorities in Attapeu province on Monday. The goal of the Hongsa Power Company is not only to generate electricity for local and overseas markets but also to develop several activities that can improve the livelihoods in newly resettled areas. Thai Police in Nakhon Phanom province have seized 930 items of ivory weighing some 22 kg from a Vietnamese national attempting to bring them across the international frontier from Laos’ Khammouane province, Thai news media reported Monday. Soukaphone Vongchiengkham has completed a move to Thai club Chainat Hornbill.